It must have been a rather sad day for Mary. She had set out early with James, Joseph, Judas, and Simon and trekked across the Galilean foothills. Finally she arrived exhausted at her destination and pushed her way as far into the crowd as she could. There she whispered loudly into the ear of a taller, stronger man: "Tell the Master his mother and brothers are standing outside, very much wanting to see him." The man shoved his way inside and suddenly the intoning lecture of her son -- the Rabbi -- stopped mid-sentence. A dramatic pause, then came the words that stung Mary's heart: "Who is my mother, and who are my brothers? My mother and my brothers are those who hear the word of God and do it" (Luke 8:21). It was not a rejection of biological family (see John 19:26-27). We don't know if Jesus met privately with his kin following this incident or not. But we do know that on this day Jesus embraced his disciples (Mt. 12:49) as brothers (and probably the visible church community as mother, see Gal. 4:26). It was on this day that he wrapped himself in the bonds of affection of those who served in the kingdom of God alongside him, thus leaving to the church a holy example of addressing one another as brothers. Their identity was not to be fueled by nostalgic looks backwards into childhood. They were now men, joined with their Savior and pressing into the future on a mission to bring the Gospel to the world (Acts 17:6). So Peter called the first 120 believers brothers (Acts 1:15, 16). The author of Hebrews calls "those who share in the heavenly calling" his brothers (Heb. 3:1). Peter exhorts us to "love the brotherhood" (1 Pet. 2:17). Paul views Jesus as the Firstborn among many brothers (Rom. 8:29) and even addresses sinful members of the church as brothers (1 Cor. 3:1) though there are also false brothers (2 Cor. 11:26). And perhaps most radically, John points out that we may need to "lay down our lives for the brothers" (1 John 3:16) in the cosmic battle into which we have been drafted. It was in the wee hours of June 6, 1944 that the men of Easy Company, 506th Regiment of the 101st Airborne hurled themselves out of a C-47 to parachute into the German-infested fields and forests near Sainte-Mere-Englise in northwestern France. They were part of the massive D-Day invasion of Hitler's Europe ... and MANY things went wrong. Spielberg's Band of Brothers mini-series brilliantly captures how -- in the fog of war -- a single motivation emerged to propel these paratroopers on in the fight. They were fighting for the man next to them. For their "battle buddies" who through the rigors of war became brothers. It was the bond of respect forged on both sides that profoundly affected an entire generation of men (such as Major Winters) later dubbed the Greatest Generation. This was common grace brotherhood. They lived together, fought together, and even died together. Their collective courage overcame the evil arrayed against them. They were scarred by the fight. But they overcame. Jesus said, "Greater love has no one than this, that someone lay down his life for his friends. You are my friends if you do what I command you. No longer do I call you servants, for a servant does not know what his master is doing; but I have called you friends, for all that I heard from the Father I have made known to you. You did not choose me, but I chose you and appointed you that you sould go and bear fruit and that your fruit should abide" (John 15:13-16). If you are a believer in the Lord Jesus Christ you are a vital part of a saving grace brotherhood, a fraternity that will last into eternity. A spiritual band of brothers that transcends race or culture or nationality or any other factor. It was Christ's plan to raise up a noble band of brothers. The book The Lost Art of Disciplemaking describes this plan: "Jesus ordained twelve men that they should be in association with him and that he might send them forth to preach. He had two things in mind in the training of the Twelve. One, that they should be of help to him then and there in carrying out his mission. Two, that they would carry on after he was gone. "He would send them forth to preach to the high council of the Jews, to the philosophers of Athens, to the worshipers of idols, to the wild barbarians, to Roman soldiers -- to anyone and everyone who would listen. He knew his training had to be in depth because these men would face formidable opposition. They would be stoned in the streets, beaten badly, and thrown into prison. So their preparation was vital. Shallow training and half-hearted commitments would not stand the test. They were saved to save others, but it would be a rough and rocky road most of the way" (34). It is during this season of life that we are called to fight -- "not wrestling against flesh and blood [why the military analogy finally fails] but against the rulers, against the authorities, against the cosmic powers over this present darkness, against the spiritual forces of evil in the heavenly places" (Eph. 6:12). There are times of rest but we push forward in our mission, knowing someday the war will be over. "In your training you can expect occasional setbacks. It is interesting to note that setbacks occurred in the lives of even the men in Jesus' inner circle -- Peter, James, and John. On one occasion James and John displayed a very hateful and destructive attitude -- they wanted to call fire down from heaven to destroy the Samaritan village (see Luke 22:54-62). In the Garden of Gethsemane the inner three were all asleep while Jesus underwent his agon (see Luke 22:45-46). But his confidence in them was rewarded, for his training had not been in vain. They went on to carry out his ministry in the power of the Holy Spirit. "The harvest is truly plentiful, but the workers -- the "harvest workers" -- are still few. As you give your life to this ministry of training makers of disciples, pray that God will enable you to be an example" (106-107). 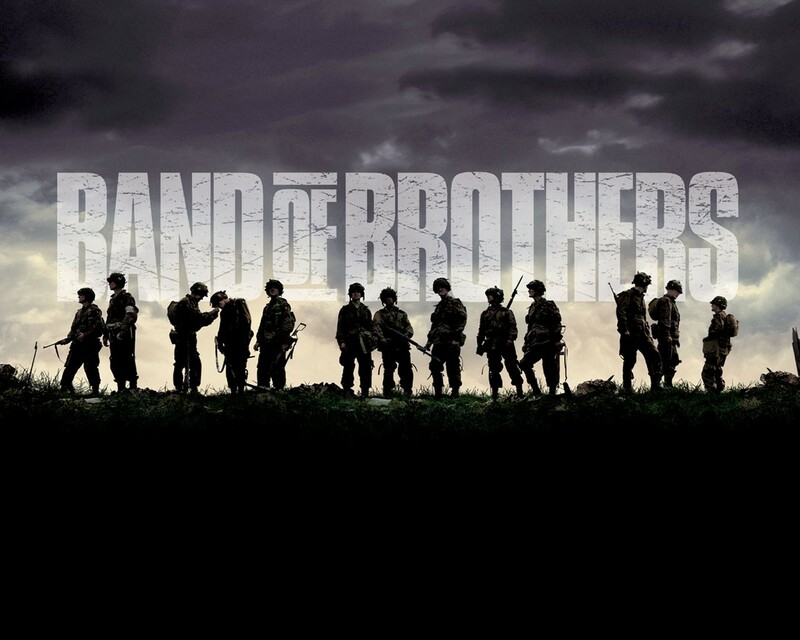 May you be part of this "happy few" who form or find your own band of brothers. A Call for Plexiglas Pulpits?